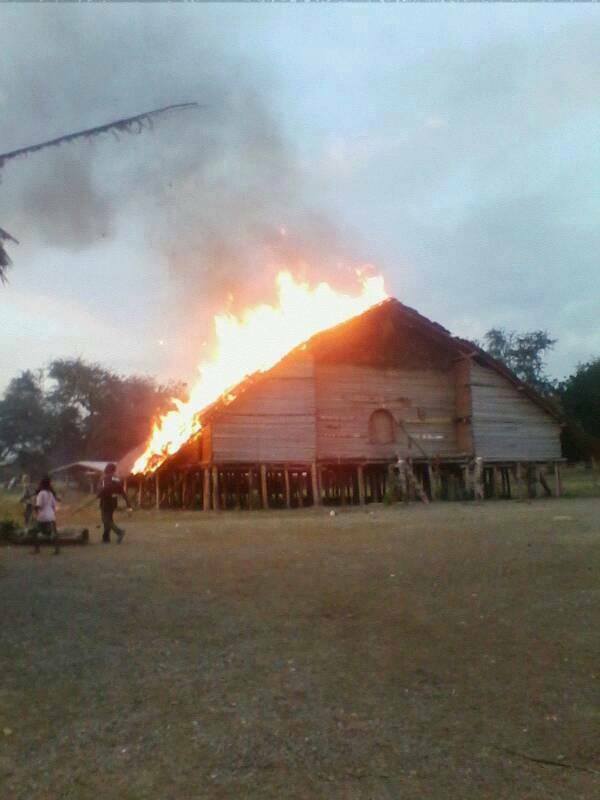 A man from the East Sepik Province who allegedly set fire to the Gogodala long house and 10 other houses at the arts festival village at Waigani is seeking bail before the court. The accused Penias Sasehawa, 22 of Munji village, Yangoru Saussia district, East Sepik is seeking bail from the Waigani District Court after he was arrested and detained on September 2. His lawyers from the Public Solicitors office have filed the bail application however that will be heard next month as his affidavit before the court does not contain records that he is a student of the University of Papua New Guinea. Sasehawa claims to be an open campus student however his affidavit that was filed for the bail application does not contain any student records of transcripts. He returns to court next month while his lawyers amend that bail application. Sasehawa is alleged to have set fire to the Gogodala long house and 10 other small houses valued at K500,000, the properties of the National Museum and Art Gallery on August 29. This was done following the staging of the East Sepik provincial day celebration that was hosted by the University of Papua New Guinea's East Sepik Students Union. It is alleged the accused with other suspects between 5pm and 7pm unlawfully and wilfully set fire to the traditional houses. It is alleged the youths got into a fight with guards from the National Museum at about 6:30 after the day had ended and they were told to leave the village when they allegedly set fire to the houses. Sasehawa was caught by a security guard setting fire to one of the smaller houses. He denied committing the offence when taken in by police for questioning.